If there is a child with ADHD on your gift list this year, you might be at a loss as to what to buy. You want to give a gift that shows acceptance and understanding, but at the same time, it is important to take the child’s individual interests and temperament into consideration. The following tips may help you find the perfect gift. Consider a child’s strengths. Children with attention deficit hyperactivity disorder (ADHD) have varied interests and strengths. Like all children, some are athletic, some are creative, some love to read, some are overly energetic. Focus on the individual child and look for toys and gifts that help build confidence, engage their interest, pique their curiosity and creativity, or allow for movement. Take sensory sensitivities into consideration. Children with ADHD might become overstimulated or they might crave stimulation. If a child becomes overwhelmed easily, look for toys that are simple; avoid toys that have a lot of bells, whistles, and lights. Some suggestions include Play-Doh or kinetic sand. Other children might crave stimulation and quickly become bored with simple toys. For these children, look for like toys with lights and sounds and toys that have a lot of movement. Toys for fidgeting. Children with ADHD, especially those with hyperactivity, are constantly fidgeting and moving. There are a number of toys and gadgets made just for this. 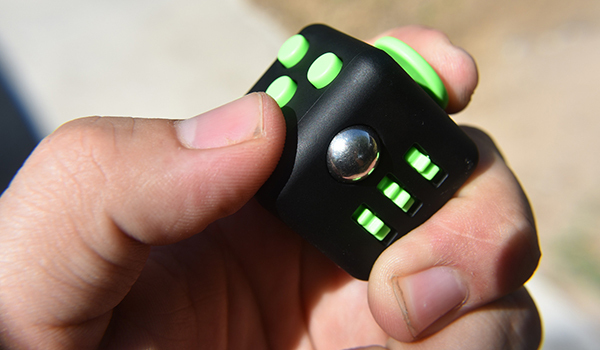 Fidget spinners might come to mind but there are also stress balls, fidget cubes, the Finger Twister and FiddleLinks, Squeezibo and different other varieties of fidget toys available. For more active children, look for toys that encourage outdoor play and exercise. Toys and activities that help use up excess energy include hopper balls, pogo sticks, jump ropes, and scooters. There are also games that encourage movement for indoors. Twister, Sturdy Birdy, and Pictionary are fun to play and use movement as part of the game which might help keep those with ADHD more interested. For early elementary age children, the Teeter Popper allows for movement indoors when there isn’t someone to play with. Children with ADHD tend to get bored with games when they are just sitting and waiting their turn. Look for games where the rounds are quick, such as Hisss, Zingo, Kerplunk, Apples to Apples, orUno. These games move quickly but also call for taking turns to help build social skills. For younger children, look for games that are completed in about 10 to 15 minutes. Focus on experiences rather than physical gifts. Grandparents, aunts, uncles, and friends can give the gift of their time. 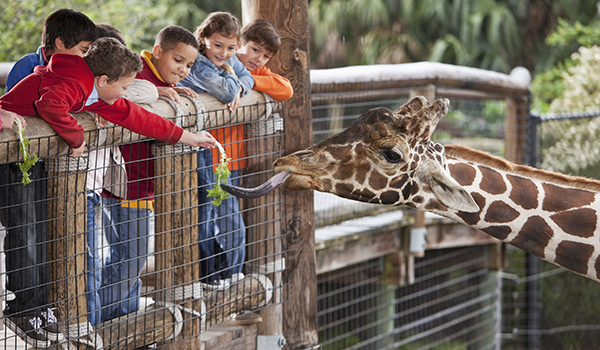 Consider spending the day at the zoo, a local children’s museum, or a park. Or purchase a family membership to one of these locations for year-round enjoyment. Children with ADHD need to know they are accepted and loved and what better way to show that than to tell them you want to spend time together. Children with ADHD have difficulty with short-term memory skills. Look for memory games to build skills for young children. There is the classic memory game but you can also try The New Touch, which combines working memory and sensory perception and the whole family can enjoy. Anything electronic usually keeps children with ADHD engaged. Tablets, such as the Kindle Fire, are relatively inexpensive and you can load it with apps that you approve. There are also packages you can use that are based on your child’s age. You can’t go wrong with books. Keep in mind that some children with ADHD also have a learning disability, so be sure to check with parents on interests and reading level. Books can teach a skill, such as juggling, transport a child to a different world, or further an interest. For young children, sound books, such as the ones produced by Kidioke Media, put popular songs to print.